Deborah Lesco estimates she lost more than $20,000 in bank withdrawals and unauthorized credit card charges over a four-month period in 2016 after hiring a home health aide. Most home health aides offer vital care to the frail and aged. But some have other designs, leaving too many clients vulnerable to theft and worse. It is a crisis largely unseen, one which state authorities have done little about. NEW BEDFORD — At first, Sarah Estrella seemed like the answer to Deborah Lesco’s prayers. An old spinal injury had slowly robbed Lesco of her ability to walk, leaving her lower body racked with pain that only medical marijuana could ease. The 68-year-old former special education teacher got around in a wheelchair and needed help with her daily activities. Luckily, Lesco had found this “nice, sweet girl” on a state-sponsored caregiver website who was happy to take care of it all. “She had experience, she was smart, she was clean, she could lift me up,” said Lesco, who was further reassured because she knew some of Estrella’s relatives. 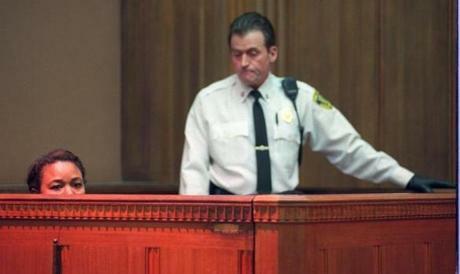 Sarah Estrella was fired for alleged larceny and fraud, but continued to advertise her services on a state-sponsored website as she awaited trial. Everything. When she hired Estrella in September 2015, Lesco didn’t know that her new personal care attendant had faced 15 criminal charges since 1997, including larceny, assault and battery, shoplifting, car theft, prescription drug possession, and check forgery. Soon, strange things began to happen. Lesco started getting late charges on credit cards that she couldn’t find. Her rent check bounced and she discovered she had a $2,500 tab at Target even though she’d never opened an account there. Over a four-month period, from February to May of 2016, Lesco estimates she lost more than $20,000 in bank withdrawals and unauthorized credit card charges — one made at a sports bar. Estrella pleaded innocent to charges of larceny and credit card fraud in the spring of 2016. People like Sarah Estrella are the stuff of baby boomers’ nightmares as they increasingly rely on an army of nurse’s aides, personal care attendants, and others to help them remain in their homes deep into old age. The category of personal care aide is projected to add more jobs by 2026 than any other occupation in the country, according to the Bureau of Labor Statistics. Many of these aides enter the home as virtual unknowns, undergoing no background check and receiving little, if any, training. Consumers often know more about what aides cost than whether they can be trusted. And with demand for home aides so high, those seeking care are simply relieved to find someone to take the job. Theirs is an honorable calling, and many home aides feel gratified to help clients in their time of need. Some become dear friends, almost family members. But sometimes they help themselves — to their clients’ money, belongings, medications, even identities. It can be a predator’s dream career. Astonishingly, there is almost no government safety net to protect people seeking home care from these dangerous strangers. Unlike nurses — or even hairdressers or manicurists — home aides don’t need a state license. 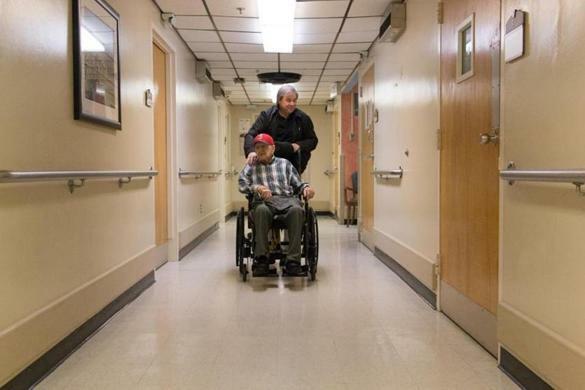 Anyone can call him or herself a home care worker in Massachusetts and work privately, though state law mandates that home care agencies perform criminal background checks on workers. Agencies typically offer greater accountability and supervision of aides than workers hired privately, but they’re too expensive for many families. There are also essentially no credentials required to work as someone’s caregiver, just a willingness to do tedious, sometimes backbreaking work that typically pays $11 to $13 an hour. Personal care attendants hired through a MassHealth program, like Sarah Estrella, are merely required to attend a state-run three-hour orientation session. Additional training is entirely optional. Massachusetts lags in required training for workers seeking to be certified, too — among New England states, it is tied with Connecticut for the fewest hours mandated. Adding to the general lack of oversight, major websites where customers seek home aides, such as Craigslist or, until recently, the state-sponsored Rewarding Work site, don’t screen workers or check the criminal backgrounds of job seekers at all, making it easy for people such as Estrella to slip through. 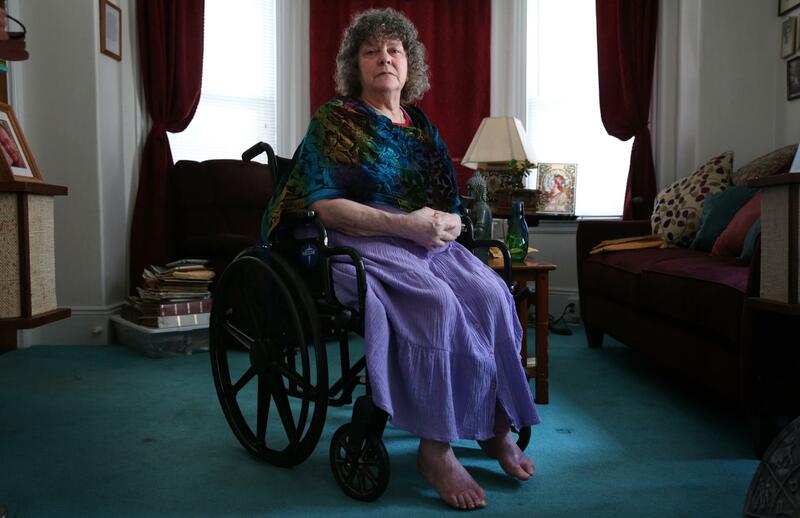 Crimes committed by home aides against their clients get little public attention in Massachusetts, in part because no single agency is charged with keeping track of the home aide workforce. Consequently it’s impossible to know, or even estimate, how common it is for Massachusetts home aides to victimize their clients. But such crimes are a very real problem nationwide, according to one federal investigator. Last year, Christi Grimm, chief of staff of the federal Office of Inspector General (OIG), testified before a House subcommittee that her office has opened more than 200 investigations across the country involving fraud and patient harm and neglect in the personal care services program, some involving patients who died. In Massachusetts, authorities report hundreds of complaints against personal care attendants and other categories of home care workers. The Disabled Persons Protection Commission received roughly 450 complaints about home aide abuse to its hot line over a recent 18-month period — almost one a day — and that’s only one of several agencies that receives complaints. Globe visits to more than three dozen courthouses across the state turned up 47 recent alleged abuse cases against home care workers in Massachusetts. Of those, 45 allegedly robbed their clients of money, valuables, and/or drugs in schemes that were sometimes as brazen as they were heartless. 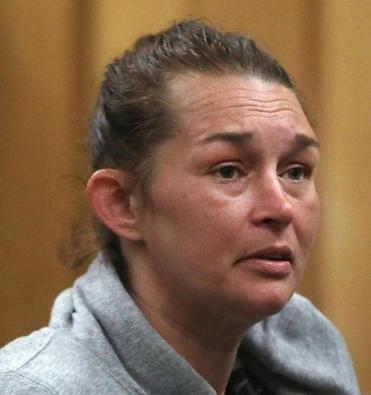 A personal care attendant from Wareham stole Clonazepam, a seizure medication, from a client with a rare and fatal form of epilepsy and replaced it with aspirin, which the client was prohibited from taking. Her health deteriorated, police records show, and she might have died had the change in medication not been discovered. Or consider the case of Kathryn Christopher, home care coordinator for the Council of Aging in Belmont. 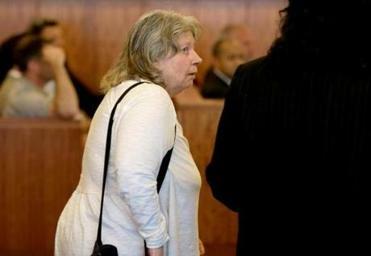 She allegedly moved her family into the home of an elderly woman with dementia whom she was caring for, appropriating the master bedroom and relegating the woman to the basement, court documents show. Christopher was indicted in 2011 on charges that included stealing more than $450,000 from the woman, and coercing her into making Christopher the beneficiary of her will. But, by that time, the woman was already dead. Christopher was found guilty on a single charge — obtaining a signature under false pretenses — and got five years’ probation. Another 15 home aides in the Globe’s review allegedly neglected or physically injured their clients, including a Brockton aide who gave a man with Down syndrome a bath with scalding water. His burns were so severe that medical professionals thought he had a flesh-eating disease. Charlotte Medeiros was indicted on charges of involuntary manslaughter, neglect of an elderly person, embezzlement, and larceny after the 2017 death of an 80-year-old widow she was caring for. And then there’s Charlotte Medeiros of Westport, who faces involuntary manslaughter charges in the 2017 death of the 80-year-old widow she was caring for. Prosecutors say Cecile Fairhurst received no professional medical care in the last 18 months of her life and, when Medeiros finally called for help, Fairhurst was found to be malnourished and covered with severe bedsores. She died nine days later. Medeiros, who had power of attorney over Fairhurst, also allegedly embezzled more than $100,000 from the elderly woman, giving much of it to her son and his wife, who also face charges. Yet, in part because government oversight is so meager, criminal charges don’t necessarily deter home aides from continuing to work in their field. As she awaited trial for allegedly robbing Deborah Lesco last year, Sarah Estrella advertised her services on the state-sponsored website, Rewarding Work, saying she was ready and able to care for clients. Full disclosure here: I have a personal stake in this story. Most Globe investigations begin with an assignment or a tip. This one started out with my life. I was initiated into the world of home health care, reluctantly, in 2012, two years after my 57-year-old husband, David, was diagnosed with amyotrophic lateral sclerosis, or Lou Gehrig’s disease. Our story was pretty typical of families dealing with a serious illness. Someone becomes sick or injured or is disabled; a family member becomes the primary caregiver, and eventually realizes it’s unsustainable. 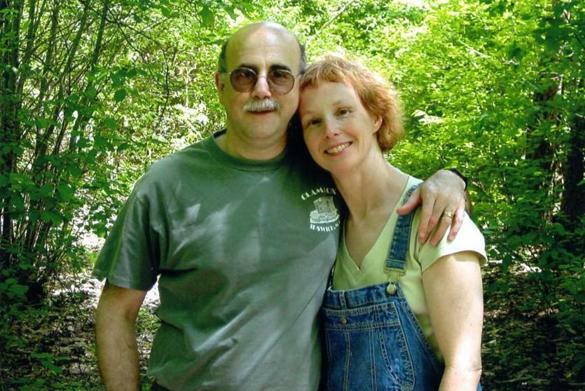 David Israel and Linda Matchan on a hike in the woods around 2005. David’s symptoms progressed quickly as he lost his speech and then his ability to walk and move independently, but, for nearly two years, our kids and I were able to care for him ourselves with help from extended family and friends. I continued to work and the rest of the time functioned as ALS caregiver and general contractor, overseeing construction to make our house accessible, arranging medical appointments, ordering equipment, navigating a complicated health care system. The prospect of hiring a stranger to come into the house and care for him was not appealing. But I couldn’t keep it up. “I’m totally, utterly fried,” I e-mailed a friend in the fall of 2011. I wasn’t sleeping much. I worried all the time. I forgot my own medications. I yelled at strangers — actually, at anyone who got in my way. Even my driving suffered. One time a cop pulled me over for obliviously running a red light in Watertown Square. He found me huddled over the steering wheel, sobbing. But who would help me find help? Navigating this task is a difficult and lonely road, full of scary turns and dead ends — and precious little help from government. Given the costs, it was clear that our only option was to turn to the gray market of freelance aides who cost a lot less than agencies charged. The first shock was that home health care agencies I contacted were breathtakingly expensive, charging in the range of $25-35 an hour. At those prices, a single week of round-the-clock care could cost nearly $4,500, which was so far beyond our means we couldn’t even consider it. The second was that our health insurance didn’t cover any of it aside from hospice care when doctors determined David had less than six months to live. Many commercial health insurance policies have similar restrictions. Long-term care insurance often covers home care, but it’s pricey and we didn’t have it. MassHealth, the state program for lower-income residents, might have helped but our middle-class family didn’t qualify. Medicare might have covered an aide who provided certain of David’s health care-related services, but I didn’t know about that — and nobody told us. So we paid for home care ourselves, assisted by family, friends, a community fund-raiser, and Compassionate Care ALS, the Falmouth-based nonprofit that generously loaned us everything from wheelchairs to a hospital bed. Given the costs, it was clear that our only option was to turn to the gray market of freelance aides who cost a lot less than agencies charged. I cast a wide net, reaching out to disease support groups, medical professionals, friends with elderly parents. Once, I tried to enlist a woman on the street who seemed to fit the bill: She was assisting a client with a walker. I tried to ignore the fact that my strategy was risky, that it might be smart to do a criminal background check of people I was considering, not that I knew how to do one. And while I asked everyone I interviewed about their job histories, it didn’t occur to me to press them on their training. In retrospect, that seems pretty careless. But who had time or energy for research? There’s no Yelp or TripAdvisor just for home health aides. And I was desperate — a common scenario for exhausted caregivers, I would come to learn. “When you’re on fire, you need a fire extinguisher,” said Joanne MacInnis, a nurse and president of Aberdeen Home Care in Danvers. Over the course of two years, I interviewed and hired more aides than I can remember. (Turnover is common in the home health care field.) Eventually, we found two extraordinary aides — a woman and a man, both certified nursing aides and both referred by medical professionals — who stayed with David to the end. We could never have endured the scourge of ALS without them and I’ll forever be in their debt. As for the rest, I’m still recovering from them. Deborah Lesco, who lives alone and has no children, now realizes she was a sucker for Estrella’s apparent kindness — Estrella even gave her a gushy Mother’s Day card inscribed “to someone who’s been like a Mom to me” around the time Lesco noticed her money was vanishing. After firing her, Lesco even found alarming signs of drug use, including one of her spoons stashed in her bedsheets in a bureau drawer: It was flame-blackened and bent, with a hard white residue in the bowl that contained heroin and fentanyl, according to a lab test paid for by the Globe. 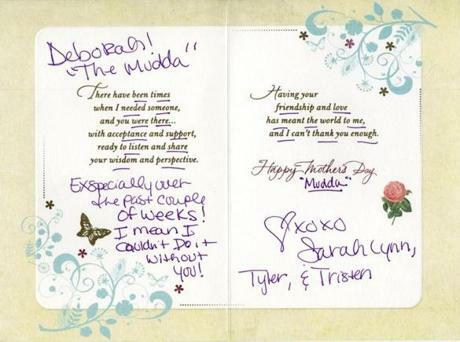 Sarah Estrella gave a Mother’s Day card to patient Deborah Lesco around the time Lesco noticed her money was vanishing. 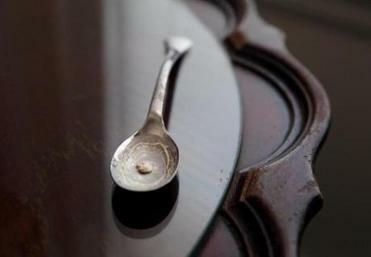 After firing Sarah Estrella, Deborah Lesco found signs of drug use in her home, including a flame-blackened and bent spoon with residue that tested positive for heroin and fentanyl. After the Globe contacted Rewarding Work about Estrella’s background, the nonprofit removed her name from its database, according to Elenore Parker, former president of Rewarding Work. Then, in July, Rewarding Work stopped posting ads from personal care assistant candidates altogether, saying they had planned the phaseout for some time. Most home aides are undoubtedly compassionate caregivers, many of them immigrants who send a good chunk of their modest paychecks back to family members in their native countries. But the serious lack of oversight and regulation leaves the door wide open to people with bad intentions. Even by the lax standards of the home care industry, Massachusetts lags in regulating caregivers. 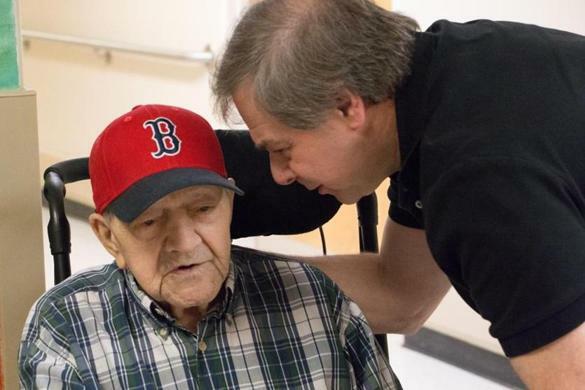 For example, home aides can voluntarily get more training to earn titles such as home health aide or certified nurse aide, but Massachusetts requires less training for these certifications — 75 hours for each — than any New England state except Connecticut. Other states have taken far stronger action to regulate the industry and to reduce crimes by aides. California is one of the most proactive: In 2016 the state established the Home Care Services Consumer Protection Act, which requires home care agencies be licensed. There is a public registry of aides who have had background checks completed. California also has a designated Home Care Services Bureau, which licenses home care agencies and conducts unannounced visits to their offices. Seventeen states have started requiring FBI background checks for some or all home health agency workers, according to the office of inspector general. Massachusetts isn’t one of them. Twelve states — Massachusetts not among them — require agencies to conduct periodic background checks on their employees. New Jersey closely tracks — and makes publicly available — abuse and other patient-related crimes by home care workers. The state also introduced an innovative “Safe Care Cam” program, an initiative of the attorney general and the Division of Consumer Affairs. In 2016 the state started loaning surveillance cameras to private citizens so they could keep an eye on loved ones in the care of aides. Hiring home aides through an agency — and paying more than twice as much as for freelance aides — may reduce the risks because the companies are mandated by law to check employees’ backgrounds. But it’s no guarantee of good behavior. Out of 47 Massachusetts criminal cases involving home aides in recent years, nearly half — 20 — involved agency employees. With a critical shortage of aides nationwide, the pressure to hire creates a motivation to cut corners and either skip or ignore criminal background checks. That’s how Anthony Litano of Pittsfield slipped into the home health care business, despite having done jail time for breaking and entering and larceny. Court records indicate he was hired by Hand in Hand Senior Speciality Services of the Berkshires in 2010, even though owner Lisa Shea knew he had an open court case. But Litano was the nephew of a friend as well as a friend of other acquaintances, Shea wrote in a 2010 e-mail to Stockbridge police, so he made the cut. Litano returned the favor by stealing $43,000 worth of goods from a disabled woman who was his home health client in Stockbridge, including $10,000 worth of Tiffany silver, all the jewelry she’d inherited from her mother, a $2,000 vintage Martin guitar, and a 19th-century French sculpture he promptly fenced on eBay to someone in Croatia. The only item she got back was the guitar, according to the victim’s sister, Cathy Deely of Pittsfield. Consumers get a little more protection if the agency they use contracts to provide services through Medicare or Medicaid: These companies must follow formal standards and contracting requirements. But those that only accept private payments face almost no government scrutiny at all. In fact, it’s impossible to know how many such companies even exist. Some prosecutors believe that the rate of crime committed by home aides is low, especially compared to crimes by others with unfettered access to the homes of the frail and elderly. “The volume of abuse by paid care providers is not as great, in my experience, as family members exploiting their own family members,” said Bristol County Assistant District Attorney Michael Scott, a sentiment echoed by other elder care attorneys. But whatever the actual frequency of these crimes, this much is clear: relatively few alleged abusers are prosecuted compared to the number of complaints, and, when they are, they seldom are sentenced to serious jail time. The Globe identified just 28 resolved criminal cases against home aides in Massachusetts going back as far as 2003 and only eight of the defendants were sentenced to prison. The longest sentence, five years in state prison, was handed out to Radoslaw Czerkawski of Quincy, who allegedly stole $130,000 along with jewels and other valuables from the 95-year-old woman he was caring for. Prosecutors said he sometimes abandoned Janina Stock for days at a time while he went on gambling trips. Radoslaw Czerkawski was sentenced to five years in state prison for stealing $130,000 along with jewels and other valuables from the 95-year-old woman he was caring for. 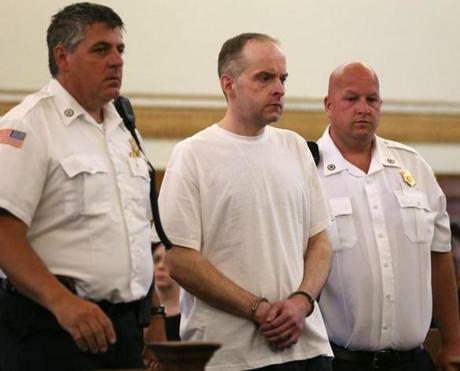 But earlier this year, Czerkawski got an even longer sentence — 8 to 10 years — for brutally torturing a dog in Stock’s own home, in what became known as the “Puppy Doe” case. Stock’s granddaughter, who hired Czerkawski, said her family was hurt that the dog abuse got more media attention than her grandmother’s plight. The risk of abuse is also likely to grow as the US population grays and the number of caregivers working in people’s homes soars. The ranks of home health care aides and personal care assistants is expected to grow by 1.03 million by 2026, according to PHI. “It’s dead,” said Muratore, though he remains hopeful it might be folded into an upcoming health care bill. My own experience with home care workers began with a poster on a community center bulletin board. 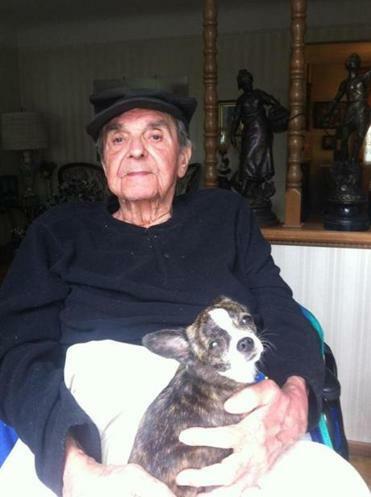 The man who posted it turned out to be cheerful, strong, and had experience with ALS. He was anxious to moonlight for extra money beyond the $13 an hour he said he was paid to work days at an assisted living facility. We agreed to pay him $18. He got off to a good start helping David with what the health care world calls “ADLs” or “activities of daily living” such as helping him shower and eat. He was so good, in fact, that I introduced him to a friend who also had a husband with ALS. He was soon working for her, too. Before long, though, it seemed he liked his other job better, and made sure we knew it. He lost his temper and raised his voice. He made meals but wouldn’t clean up. The showdown came on a night David was not doing well, and I asked him to stay a half-hour longer, calling my friend to make sure she wouldn’t mind if her aide came later. She didn’t. But he did. “Don’t you EVER do that again,” he screamed at me. He dropped David forcefully on his bed, spit out a sarcastic “good luck” to him, and slammed the door. He never worked for us again. Next I turned to Craigslist, where I was inundated with unqualified applicants. Finally I met someone qualified, at least by my declining standards. I explained the situation to him: My husband was largely paralyzed, couldn’t walk, and had difficulty swallowing food, even his saliva. He pondered this for a moment. “Why not put duct tape over his mouth?” he asked. Among the aides I did hire was a man so clumsy he broke David’s glasses, and a woman who spent much of her time in the kitchen immersed in her book, “Hot Women of the Bible.” Another showed up for an interview and callously announced, on the doorstep: “I’m not the goodbye lady,” meaning she didn’t intend to be around at the end. I was crushed by her remark. Yet the Not-Goodbye Lady was among the best of the lot. Alas, true to form, she didn’t stay around long either. Another aide texted me one day to say he was sick — and stayed “sick” for the next three weeks, then stopped responding to my calls and texts. I Googled him — something I should have done earlier — and that’s when I learned he had a criminal record of assault and battery, vandalism, and witness intimidation. David died in January 2014. By then I’d met many people in the ALS community who’d hired aides and had heard countless tales about problems. They fell asleep on the job. They knew nothing about basic hygiene. I also started noticing news stories like the startling 2014 case of Prisca Halaby, who was caring for an elderly Sharon man and his 62-year-old daughter with cerebral palsy -- even though she was facing criminal charges in another town. Halaby allegedly stole more than $130,000 over five years, spending it on lavish shopping sprees and trips to Haiti. Meanwhile, prosecutors said she withheld medicine and proper food from the daughter, feeding her junk food instead. She eventually pleaded guilty to 10 crimes, including theft and fraud, and was sentenced to five years probation and was ordered to restitution. 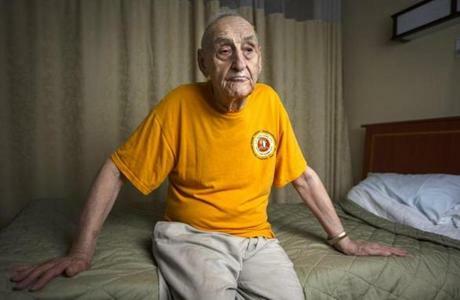 A home health aide hired to help Stanley Boguski never showed up one weekend and Boguski’s son eventually spotted his father lying unconscious on the kitchen floor via a security camera feed he’d set up to monitor home health aides. Another telling story came to me through a connection in my dog park. I met Dr. Mark Boguski, a Chestnut Hill physician and scientist whose elderly father, Stanley, lived alone in Ohio. The family hired a series of aides from home health care agencies to care for him after Stanley declined offers to live with his children. After the first aide robbed him and was arrested, Boguski bought three security cameras so they could monitor the next batch of aides, from a different agency. That’s how he spotted his father lying unconscious on the kitchen floor one Monday morning. His aide hadn’t shown up for the whole weekend. Horrific reports like these prodded me into investigating how serious this problem really is. That’s when I realized how lucky we were. It could have been so much worse. 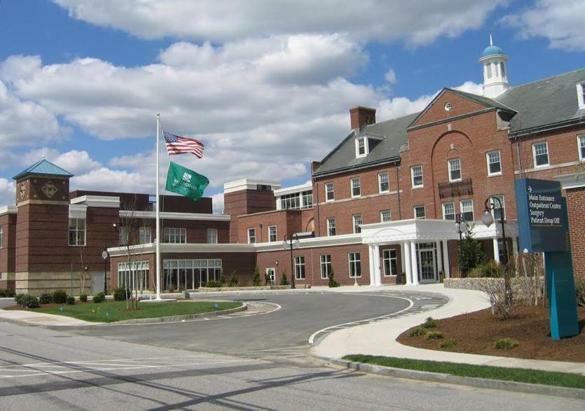 More than two decades ago, Massachusetts got a grim demonstration of the worst thing that can happen when an aide with criminal intentions comes into the home, in this case an upscale assisted living community in Westwood. Retired child psychiatrist John L. Weil had hired home aides to provide around-the-clock care for his wife after she suffered a stroke, including one aide, Martine Pressat from a Newton-based agency called Unicare Inc.
Court records reveal that Pressat had been fired from previous home health aide work because she physically abused an elderly client. In Weil’s home, she had access to the family checkbook. When Weil’s accountant told him that someone had written tens of thousands of dollars in unauthorized checks, he immediately suspected Pressat. But when Weil confronted her one evening in December 1997, prosecutors say, Pressat strangled and beat the 77-year-old man, leaving him for dead on the floor of his blood-splattered bedroom. Pressat and her husband fled to JFK International Airport in New York where they were about to board a plane for their native Haiti — Weil’s money stuffed in their pockets — when police detained the couple. 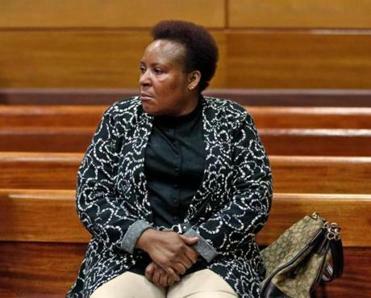 Martine Pressat, a former home health aide, is serving a life sentence for second-degree murder of a 77-year-old client in 1997. 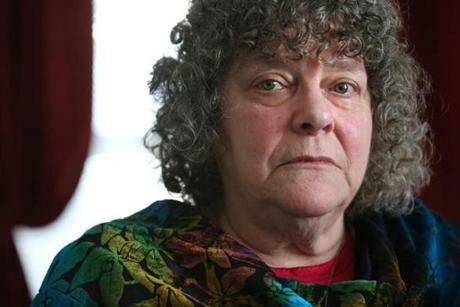 Twenty-one years later, Pressat is still serving a life sentence at MCI-Framingham for second-degree murder, but the laws protecting consumers from unqualified or criminal home aides have scarcely changed at all. In recent years, Attorney General Maura Healey has cracked down on home aide companies that fraudulently bill the state’s Medicaid program for home care — last October, the owner of Lifestream Healthcare Alliance in Sturbridge was arrested for allegedly overbilling the program by $2.7 million. But that’s fraud against the government. When it comes to fraud and other crimes against the frail and elderly living at home, they are few vocal advocates. It’s simply not a law enforcement or regulatory priority — at any level. Few Massachusetts lawmakers seem to have grasped the severity of the abuse problem — hardly surprising since there’s no centralized system for reporting abuse and thus there’s little or no data. At the local level, district attorneys are reluctant to prosecute the cases since they’re hard to prove and because frail and elderly victims don’t make reliable witnesses. As a result, it often falls to the clients themselves to seek justice — with sometimes frustrating results. Stanley Berman, a legally blind World War II veteran, spent four years waiting for a court decision after bringing charges against Jacqueline Kawere, his home health aide, for stealing money from him. Such was the case with Stanley Berman of Framingham, a legally blind World War II veteran who was 93 when he brought charges against Jacqueline Kawere, his Natick home health aide, for stealing money by tricking him into signing large checks made out to her. Jacqueline Kawere was charged with stealing nearly $5,000 from Stanley Berman but the case dragged on for years and by its conclusion, Berman was living in a Brighton nursing home. But the case dragged on for four years, including a year and a half when she simply did not show up in court. She was finally arrested on an outstanding warrant at the home of another patient, according to the police report. The case then bounced from hearing to hearing about 10 times in Framingham District Court, delaying a settlement by two more years. By the time a judge ruled on the case in January, requiring Kawere to make $4,600 in restitution, Berman was 97 and living in a Brighton nursing home. “Why should it take four years?” said Berman, who is also nearly deaf. Other home health clients may end up like Deborah Lesco, who didn’t have the physical or emotional or financial resources to see the case against Sarah Estrella through to the end. By the time the charges against Estrella finally went to trial last October — a year and a half after Lesco called the police — Lesco no longer had the nerve to go through with testifying. By the time Sarah Estrella’s case went to trial last October, Deborah Lesco said she no longer had the nerve to go through with testifying. The case was dismissed without prejudice. The case was dismissed without prejudice on Oct. 12 in New Bedford District Court, meaning it can be revisited later. Estrella left the courthouse smiling, but went back in after a few minutes to be arraigned on another charge: Assault and battery on her mother.